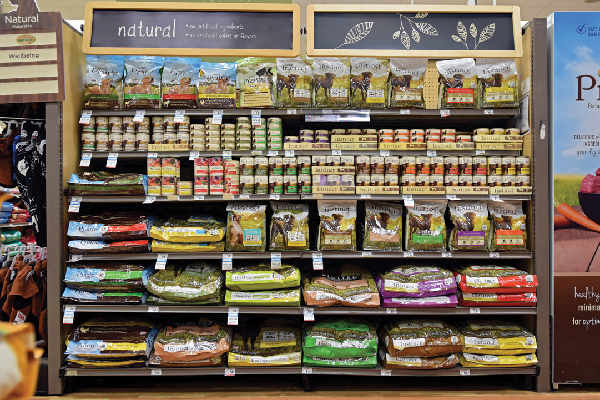 The post How to Read Dog Food Labels by Diana Laverdure-Dunetz, MS appeared first on Dogster. Copying over entire articles infringes on copyright laws. You may not be aware of it, but all of these articles were assigned, contracted and paid for, so they aren’t considered public domain. However, we appreciate that you like the article and would love it if you continued sharing just the first paragraph of an article, then linking out to the rest of the piece on Dogster.com. A friend recently told me that her veterinarian recommended a canned dog food containing 4 percent fat for her overweight dog. The veterinarian recommended my friend switch from her dog’s current food, a kibble containing 15 percent fat, to help promote weight loss. Alarm bells went off in my head as I knew that the veterinarian, with the best intentions, was giving my friend incorrect information. Huh? I’ll explain how I knew this later. But, if even some excellent veterinarians find reading dog food labels confusing, it makes sense that many of the rest of us do, too. Today, I will demystify the dog food label, including helping you accurately compare the nutrients in any type of food. 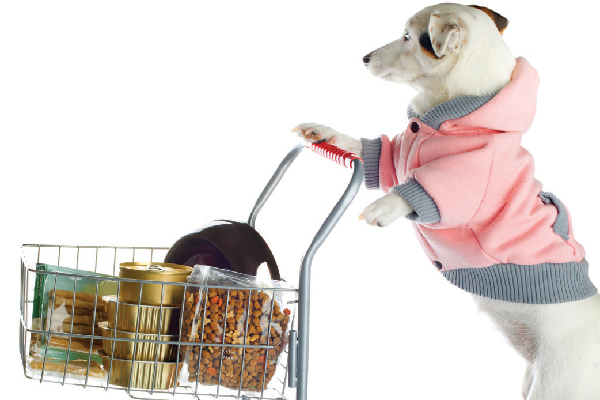 Let’s take a look at the eight types of regulated information on all pet food labels. How do you read dog food labels? Photography ©fotograv | Getty Images. This regulation covers how ingredients are allowed to be used as part of a product’s name to help protect consumers from false marketing. A product named “Lamb for Dogs,” for example, must contain lamb as at least 70 percent of the finished product. However, a product named “Lamb Dinner for Dogs” need contain only 10 percent lamb. If a pet food lists “flavor” as part of the description, for example, “Chicken Flavor Dog Food,” it need not contain any of the “flavor” ingredient and may instead contain natural or artificial flavoring. Pet food packages must indicate the type of animal for which the food or treat is intended, such as a dog, cat or horse. Never give your dog a commercial food intended for another species, as incorrect nutrient levels can result in deficiencies or toxicities. This is the amount of food in the product and may be listed as net weight or net volume. Product quantity must be listed as both United States customary units (ounces/pounds) and metric units (grams/kilograms). Companies must provide their city, state and zip code; however no street address is required if it can be found in the telephone directory. Telephone numbers are not required. Be aware that “distributed by….” indicates the food was manufactured by a third party, not the company selling it. Many pet food recalls have been traced back to one manufacturer that supplied several brands. This indicates whether the product is “complete and balanced” to meet nutrient guidelines established by the Association of American Feed Control Officials (AAFCO) when fed as a sole source of nutrition. It also identifies for which life stage(s) the food is intended. Some foods are not “complete and balanced” and are intended for supplemental feeding only. Treats are exempt from this labeling. Rotating among several “complete- and-balanced” foods is recommended to provide your dog with nutritional variety. Ingredients must be listed in descending order according to their weight, with the ingredient weighing the most listed at the top. Manufacturers must provide feeding guidelines for all “complete-and-balanced” foods which, at a minimum, must indicate how much to feed per day according to the dog’s weight. Since calorie requirements can vary immensely depending on the dog, use these guidelines only as a starting point, and monitor your dog for the amount that best achieves his ideal weight. Pet food manufacturers are required to list the guaranteed minimum or maximum percentages of certain nutrients contained in the food on the Guaranteed Analysis. Minimum percentages of crude protein and crude fat and maximum percentages of crude fiber and water (moisture) are required, although some manufacturers list additional nutrients or calories. Note that “crude” refers to how the nutrient was measured and is not a reference to the nutrient’s quality. Most manufacturers list nutrients on an “as fed” basis, which includes the food’s moisture content. To accurately compare foods with different moisture levels, you must first convert the nutrients to a “dry matter” basis (DM) by mathematically removing the water. Do you know how to convert “as fed” nutrient percentages to DM (dry matter)? Photography ©Ira Berger | Alamy Stock Photo. Converting “as fed” nutrient percentages to DM (dry matter) is a two-step process. Compare the two products we talked about earlier. Step 1: Convert total product contents to DM. Since 100% equals the full amount of the product, subtract the percentage of moisture from 100 to get the DM. Step 2: Divide the nutrient you are analyzing (in this case fat) by the DM percentage from Step 1. Our kibble contains 15% fat, so the calculation is: 15 ÷ 90 = 0.17 x 100 = 17% This kibble contains 17% fat on a DM basis. The canned food, which looks like it contains less fat in the Guaranteed Analysis, actually contains more fat than the kibble on a DM basis. Thumbnail: Photography ©andresr | Getty Images. Diana Laverdure-Dunetz, MS, is a canine nutritionist and co-author, with W. Jean Dodds, DVM, of two books, including Canine Nutrigenomics: The New Science of Feeding Your Dog for Optimum Health. Their online course, Complete Canine Nutrition, can be found at myhealthydog.dog.